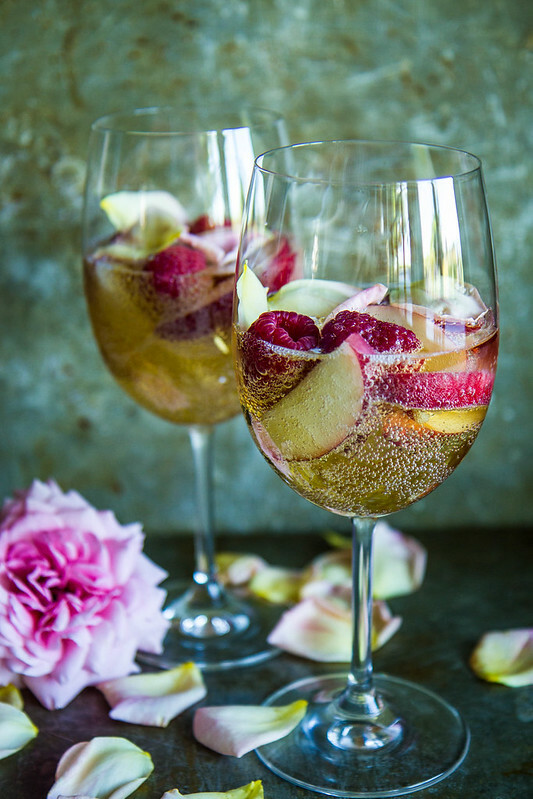 This very pretty version of sangria also happens to be majorly multi-functional. It could be for everything from a cocktail hour to a brunch- also great for anything like a shower or luncheon or something? It is wedding season, right? For us it is just drinking and eating season, and my favorite time to experiment with new cocktails. Its got to be all of the incredible fruit that is out there to experiment with. Also, despite the fact that I still have to work and do all of the stuff that I had to do before, it still feels like every night you can stay up late and drink things like this here sangria. That probably accounts for why I have dark circles and bags the size of a carry on suitcase. Combine all of the ingredients in a large pitcher and chill. I love the sparkle in this! So delicious! What beautiful photos! 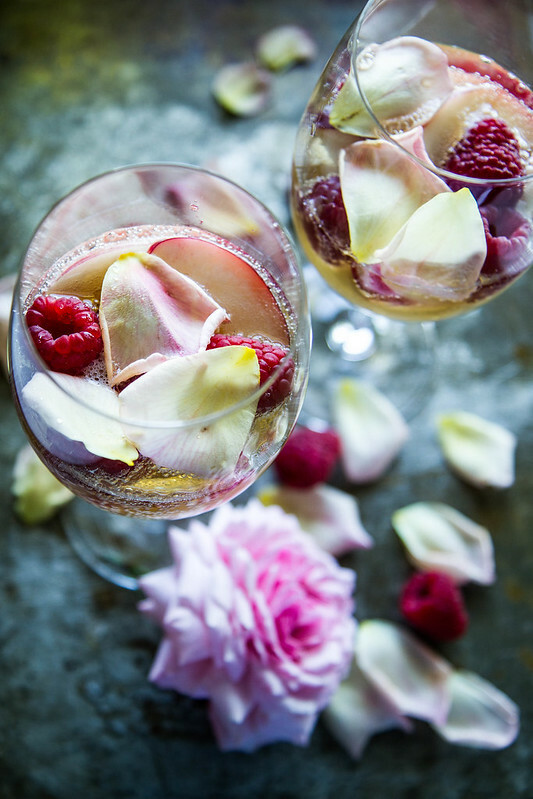 My family tends to drink sparkling juices on special occasions, and, while it wouldn’t taste quite as special, I never thought to add fruit to the drinks. I think it would work really well, and be very lovely to look at. Thanks. 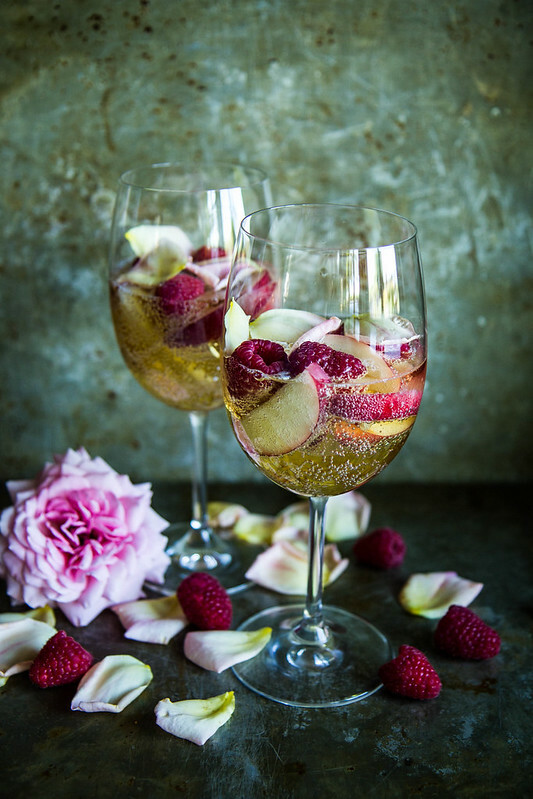 Teri- I also make this for the kids with sparkling white grape juice (trader joes!) and they think they are in heaven! Totally gorgeous and it sounds delicious!